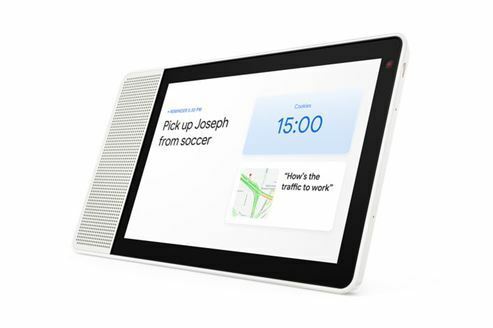 September 26, 2018 - Boston: (BUSINESS WIRE) A new expert review from Strategy Analytics' User Experience Strategies (UXS) group has found that the Lenovo Smart Display helps to not only make the in-home digital assistant experience much more useful, usable, and compelling, but also helps to educate the user on what to say and how they can say it. Incorporating a display opens up new and more engaging use cases for the whole smart speaker market. As Google Assistant has long been voice-only for the smart speaker segment, implementing a screen allows users to see and do much more. This includes watching videos, looking at recipes, viewing photos, controlling smart devices and making video calls. Smart displays are unlikely to replace current voice-only in-home digital assistants, but will be strongly sought after by more advanced smart home users; for example users with connected security cameras and other devices which can leverage the benefits of a display. The Google ecosystem is heavily prioritized. This forces consumers to use one source for specific use cases. Video calls for example can only be used by recipients who use Google Duo. Analyzing UX innovation opportunities in wireless, smart home, and other emerging technologies, UXS forms part of the User Experience Innovation Practice (UXIP) at Strategy Analytics. Focusing on user behaviors, motivations and interests across multiple consumer verticals, UXIP helps clients meet consumer needs, develop usable solutions and deliver compelling user experiences through both syndicated and proprietary research capabilities. With our extensive expertise in large-scale survey work, in-depth interviews, focus groups and observational sessions, UXIP’s research methodologies allow strategic user-centric analysis on the potential for new technologies. Providing actionable insight, go-to-market strategies and business recommendations, UXIP is a leading supplier of consumer knowledge to the technology industry.